I first learned about Carnival’s Bonsai Sushi from my friend Amanda. She always talked very highly Bonsai and made a point to eat there whenever she was on a ship that featured this specialty restaurant. Bonsai Sushi offers a variety of small plates starting at $1.50. 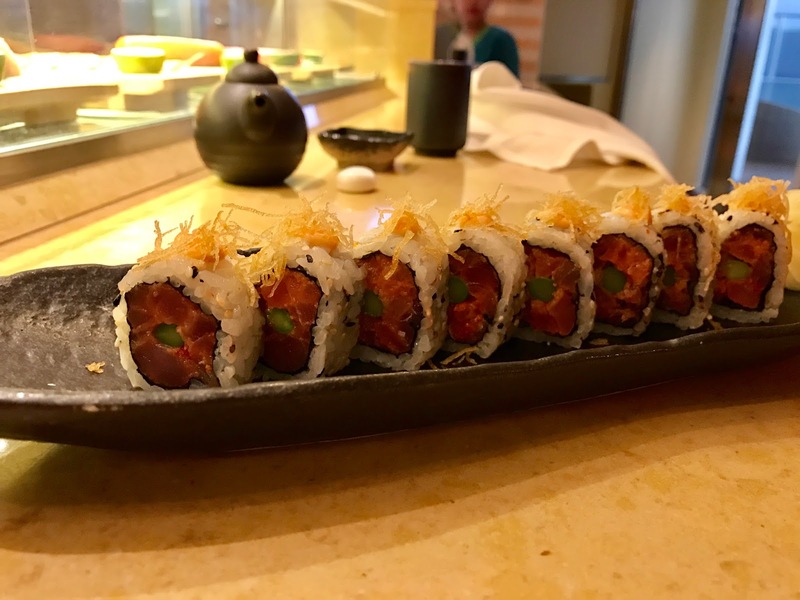 On my recent sailing on Carnival Vista, Bonsai became one of my favorite dining establishment at sea. My best friend Keri and I started our annual girls cruise on the Vista with a sushi roll on the first night of our sailing. We had late dining reservations at Farenheit 555 so we opted to grab a quick roll. 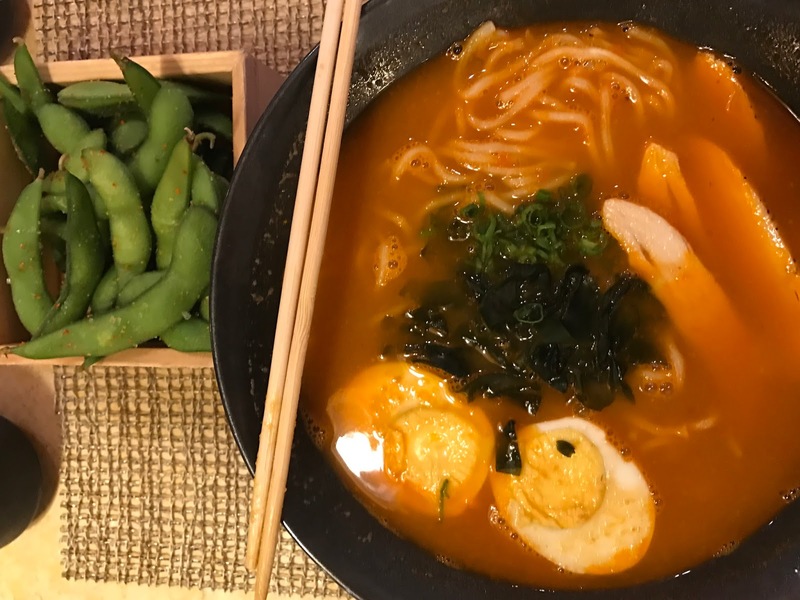 I noticed quickly that Bonsai added noodles to their menu – including Ramen. I knew right then and there we had to come back for a full meal. Bonsai Sushi was located beside our favorite bar on the boat - Alchemy Bar. It was fun to people watch and you could easily grab a craft cocktail if Sake wasn't your thing. Our second night at sea was Captains Dinner. Neither of us felt up to a long meal in the main dining room. Since we had reservations at all of the other specialty restaurants on other nights at sea, this became the perfect night to really try out Bonsai (most dressed up I’ve ever been for sushi). We started off with the Pork Belly and Edamame. Both were tasty and I would order them again. For our entrees we both got Ramen and this shouldn't come as a shock to anyone who knows me. I have a noodle problem! This is not the $0.25 package of noodles you ate in college. This was a full flavor broth with chicken, ramen noodles and veggies. It was delicious. Keri also learned that she loved Ramen (she used to make fun of me for ordering it all the time). Aside from the yummy food at Bonsai, we were both very impressed with the staff. Each night, the girls working at the restaurant were very friendly – and of all the meals we had on board, the kindest staff. They went out of their way to make sure everyone had a great meal. Bonsai Sushi on the Carnival Vista also dining Al Fresco. Talk about Sushi with a view! Here's a tip - for those out there who get sea sick and can't stomach food, you can get a side of jasmine rice from Bonsai. I know from experience!